I have worked with many of you here. My name is Rusty Small and I can help with any of the Goodyear reproduction tires. Currently, I am going to the Pure Stock Muscle Car Drag Race, Stanton, MI, September 16 and 17 and I will attend MCACN in November. Also, I found out this weekend that the performance series of tires will be increasing in cost by $10/tire on 11/1. This is the first increase for these tires since 2011. Please feel free to contact me with any questions. My cell is 816-654-3400. Keeping this in front of everyone.. The price change for the tires is happening is 11/1. I will also be attending the Muscle Car and Corvette Nationals in November-- tires can be delivered to the event. Anyone having a question can call me. My cell is 816-654-3400. Quote 71 Javelin AMX O.O. I have a question that comes up with tires in general. 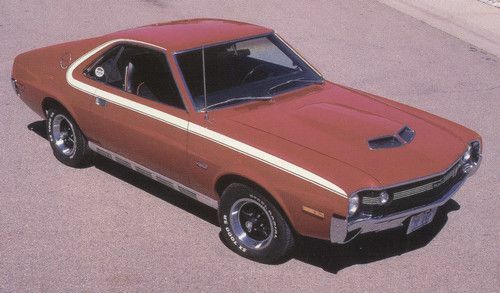 I have a set of the reproduction Goodyear Polyglas raised white letter tires E-60 15 that I have on my 1971 Javelin AMX. I purchased them 5 years ago and have been running them on the roads during the summer when it's not raining. I have been doing around 500 miles per year. So the issue of age came up. I think the tire manufactures like you to replace tires in the 5-10 year range, probably closer to 5 so they can sell more tires. What is the thought on the reproduction Goodyears for a use like mine described above? I have a protectant on them and when the car is not on the road, it's inside a garage with the door down. No sunlight on them. ^Great question and curious to hear the answer, especially on a Bias tire. Have a set of F70x14's on my ride now..bought new in 1988..maybe time for some replacements??? One of my friends asked me that very question today. UV is one of the biggest enemies of rubber and most of ours stay tucked in the garage. Personally, it has a lot to do with that and heat cycles. If you are going to be rolling down to eat ice cream or if you are going 120 miles to the regional meet. If you turn a corner and the tires are squalling when you turn a corner, I would say its time. The hardness of the tires is going to effect the safety. In a word, I am not going to give you a year, but you need to look at what you are going to do with it. May pops are not what we want to ride on!! My cell is 816-654-3400 if you want to speak with me about it. What kind of availability can we expect in the future on having the reproduction Goodyear Polyglas E-60-15 tires? In other words if the demand is still there from the guys like my that want the original look and the Pro Stock Drag guys that would be burning them up at the drags, will those tires still be around in 5 years? This may be a hard question to answer, but should I look at getting a set and storing them for when the age of the ones I have are to the point when they should be replaced? Or will a set that has been sitting for 5 years not be good for more than another 5 years because of their age? 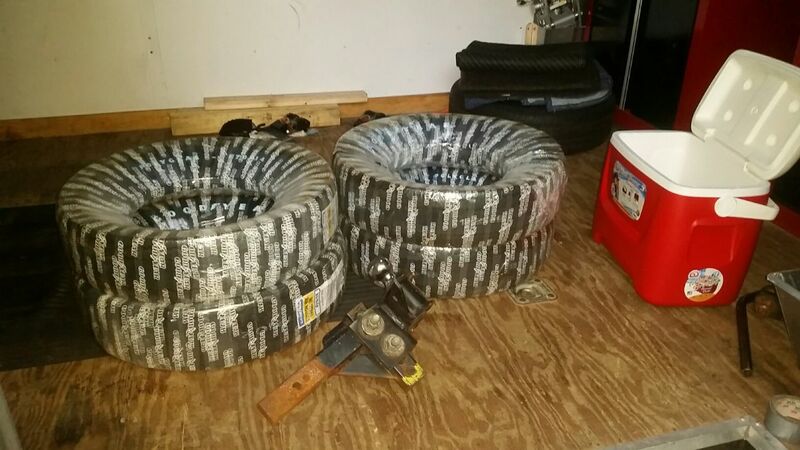 I just picked up a set of F-70-14 RWL Goodyear Polyglas rubber doughnuts from Rusty last weekend at the Pure Stock Drags in Stanton Michigan. No2Joe did as well (E-60-15) variant for his 70 AMX and many others did too. It was rubber doughnut city! For those who plan on attending the Muscle Car and Corvette Nationals this November (MCACN) in Rosemont IL. , Rusty said to me he can deliver them there as well. You will search long and hard, for a more trustworthy and cooler soul ! To answer the question, the tires once put in the catalog will always remain. Also, the number of tires is closely watched and the batch numbers are so that the tires should be fairly fresh. The tires that were delivered to Rich came off the truck on Wednesday morning and I loaded them my trailer Wednesday afternoon. Most tires are 6 months old or less.